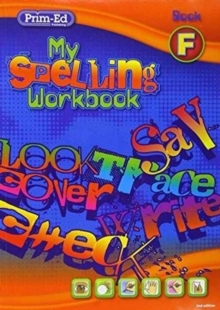 Each workbook contains 18 spelling units. Each unit is made up of four pages, with each unit containing: a list of 22 words to be learned, focusing on one or more phonic word patterns and two commonly used words word building and word study activities revision words from the previous workbook. Each unit contains word building and word study activities. A bank of activities is used throughout the book, including: unjumbling words word worms finding small words crosswords word searches synonyms antonyms and many more. Interactive spelling activities to accompany My Spelling Workbook A are available to download.